What do we have here? 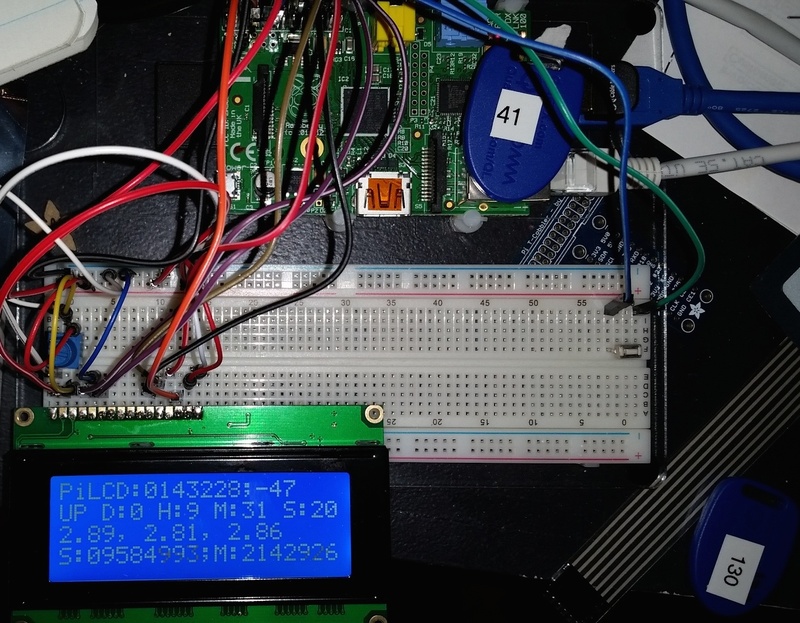 A BLE beacon scanner running Pidora on a raspberry pi connected to an LCD screen displaying it's beacon heartbeat count and RSSI on the first line, the time the scanner has been up on the second, the system load average on the third, and the total number of BLE events followed by the number of msgs sent to the ActiveMQ broker on the fourth. As I write this the 10,000,000 events milestone has been reached, 28 minutes after this picture was taken. The beacon scanner software running on the Pi is a custom C++ application that integrates directly into the BlueZ bluetooth stack, and pull out the beacon BLE advertising events, packages them up into messages that are forwarded via a pluggable messaging provider interface. Currently the scanner has implemented providers over our Proton, AMQP and JMS/C++ bindings for ActiveMQ. There is also an Eclipse Paho MQTT implementation for talking MQTT with ActiveMQ. Red Hat Summit and DevNation. Hopefully you can stop by.